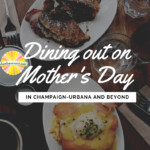 A great list of area restaurants offering brunch on Mother’s Day in Champaign-Urbana and the surrounding communities. 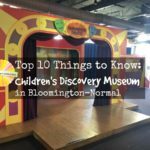 Get to know Bloomington-Normal’s Children’s Discovery Museum, an action-packed children’s museum a quick drive from Champaign-Urbana. 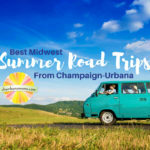 Having fun in Champaign-Urbana in the summer isn’t hard to do. But summer is an ideal time to travel so we’re offering our list of ideas for summer road trips. 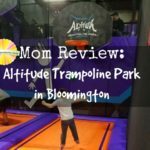 Emily takes her family to an indoor trampoline park in Bloomington and feels like a kid again. What you need to know before you go. If you’re a teacher, run a library, or just love children’s books, the Scholastic Book Fair Holiday Warehouse Sale is well worth the drive to Bloomington, Ill. for good deals.